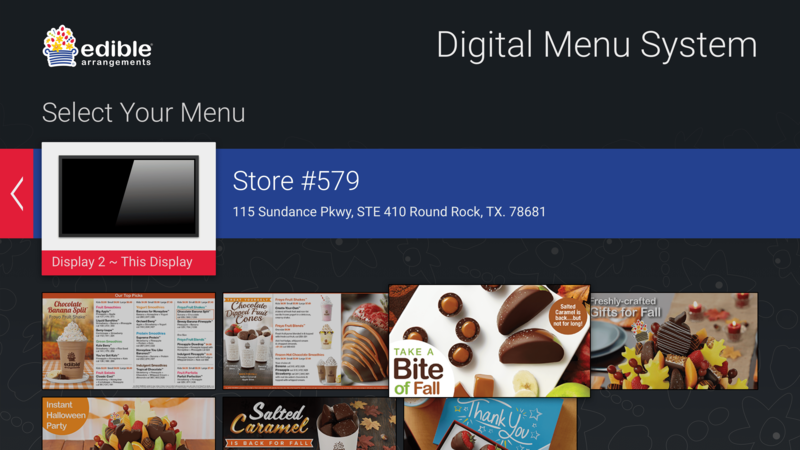 Redesigning Netsolace’s core Digital Menu System product into a modern, cloud-based, connected technology solution. High-Fidelity Mockup of the Feed Selection screen for the DMS. Netsolace offers technology products that power thousands of store locations. The Digital Menu System is a core part of their offerings. The original system runs multiple screens from a central Windows PC located within the shop. Cloud-based content servers and connected TVs running modern operating systems presented an opportunity to redesign the entire product as a modular, decentralized solution that sheds cables and eliminates the single point of failure. Rebuilding the system directly into the smart TVs meant that we would be losing the keyboard and mouse. Everything would need to be managed with a TV remote. Focus states would need to be incredibly clear and user actions required unmistakable indicators of success or failure. The original DMS was a strong product for its time but was ready for an update. When built for the PC, an always present menu system provided an easy way to navigate from function to function, and items were spread over a number of tabs. For the TV Remote interface, we wanted to streamline the user flow as much as possible. Features of the app were mapped out, discussed, debated and further streamlined to allow the user to access all functions as easily and clearly as possible. Each interaction was meticulously flow mapped for all possibilities. The decision to build in Google’s Android operating system moved us to design our solution using Google’s Material Design system. Working closely within their UI pattern recommendations we created a brand-focused look for the customer while remaining true to the platform. Comparison of App UI to Google’s Material Design pattern. Motion design was meticulously crafted to highlight transitions between focus states as well as to clearly present results of user actions. Motion Design specs for the first-time setup of the Digital Menu System.